Will New Oversight of Credit Reports Stop Unscrupulous Debt Collectors? The newly formed Consumer Financial Protection Bureau will start to oversee the companies who generate credit reports on you. That's Experian, Equifax and TransUnion plus about 30 more. This action can come none too soon. Unscrupulous debt collectors inaccurately report actions to credit reporting bureaus all the time, especially for Medical bills. Getting these illegal collections or inaccuracies and errors off of one's credit report is next to impossible. Credit reporting agencies simply do not respond it seems to challenges. Experian, as an example, doesn't even have a phone number! Of course you can sue them, but even small claims court is not for the faint of heart and it's not guaranteed one will win, even when being in the right. One of the biggest problems turning up on credit reports are medical bills. Who does not know billing from Medical facilities is loaded with errors, duplicates and mistakes? Yet more and more Medical companies are turning into the sellers of debt and even bring debt collectors into the Medical practices themselves. That's sloppy, inaccurate medical debt, often for services subpar or not rendered. Literally the health care sector is in the business of selling debt, demanding loan shark interest rates, almost the minute you walk out the door from their facility. Read more about Will New Oversight of Credit Reports Stop Unscrupulous Debt Collectors? 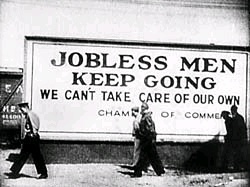 Could a recession occur in 2011? Under the current state of the US economy and its heavy reliance on federal spending, we could answer this question quite simply if we knew when the US government credit card will reach its limit. At some point it must; the compelling reality of mathematical compounding alone makes it impossible for any country to continue to rack up new principal and interest obligations. This is the battlefield on which corporations and their customers are struggling for survival. If companies can make price increases stick, the consumer is going to bear the burden of inflation, and for a lot of consumers this can be the last gasp to bankruptcy. Some Federal Reserve governors have warned about the potential inflationary implications of QE2, even though they voted for it. 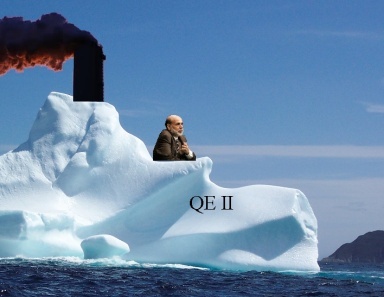 Fed Chairman Ben Bernanke and NY Fed President William Dudley have been in the media during the past week, justifying their QE2 decision. If you analyze their comments carefully, you realize they haven’t been helping their cause. The U.S. economy lost nearly 600,000 jobs in January, bringing total losses in the past three months over 1.5 million—more than the entire population of Philadelphia. If there ever was a good time to mend the tattered U.S. social safety net, it's now. While unemployment benefits and food stamps remain relatively uncontroversial, basic welfare continues to be neglected by the general media and vilified by the right. And as of this moment, a responsible welfare program is needed more than at any point since the 1930s. "Banks aren't lending": Oh, REALLY??? Of course, Mish's article is simply received wisdom at this point. There can be no recovery until banks start lending, and they are refusing to lend. There's just one problem with this argument: it isn't true. Read more about "Banks aren't lending": Oh, REALLY??? I was invited by Manfrommiddletown to stray from my usual Blog home at European Tribune and post on the subject of Credit Default Swaps. I find it hard to post on CDS without reference to the wider context, and in fact the reference here yesterday to the proposed Gas OPEC gives me the perfect excuse, since I have in recent days had a direct and intimate exposure to that initiative. I have just returned to Scotland from ten days in Teheran, and was asked - by the head of the Iranian Majlis (Parliament) Energy Commission among others, to propose my ideas as to a possible structure for such a global gas market initiative. For those who don't know, I was once upon a time a Director of the International Petroleum Exchange (now ICE Futures Europe), and since then have been busy in the area where markets and the Internet converge. This is actually a continuation or sequel to yesterday's updates on the proposed plan to clean the bad debt. As news comes forward, I will update ASAP. I've been up most of the night, considering that Washington has been as well, attempting to nail something out. Can't sleep, been thinking about the price of oil, worrying about it to be honest. Now you may be thinking "Venom, what are you crazy? A putz? A drop in the price of oil is a good thing!" And I would reply, yes, under normal circumstances it is. But these days, things ain't so normal. Actually, right now, oil is up since yesterday, but it's been in a slide for the past week or so. A couple years ago, I had lunch with a trading friend/mentor of mine at Hackney's on Harms Road. He was an older gentleman, made his money in options, in fact was one of the first to trade at the CBOE back in the 1970s. We had just gotten back from one of those sales seminars from Equis, a company that makes a product called Metastock. While gobbling down on Hackney's infamous onion loaf and later cheeseburgers, topics ranging from the software to commodities came up. This was around 2002, and Enron was still in the headlines.